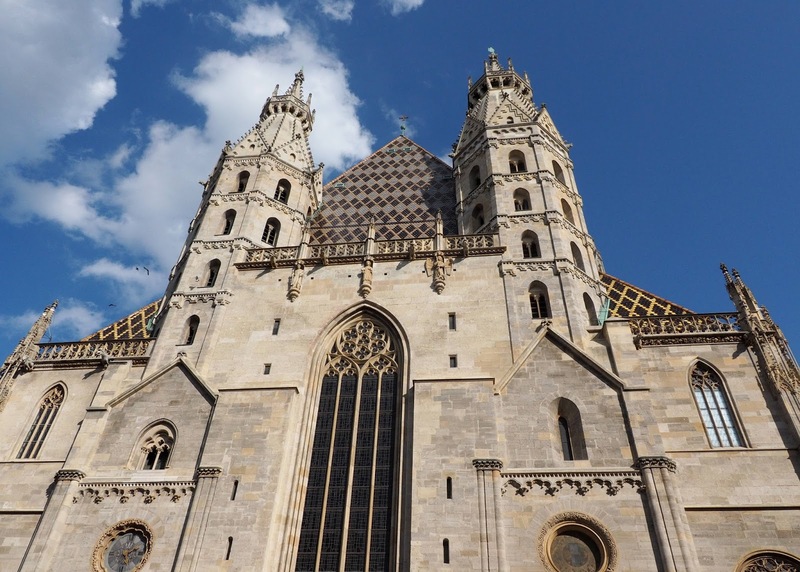 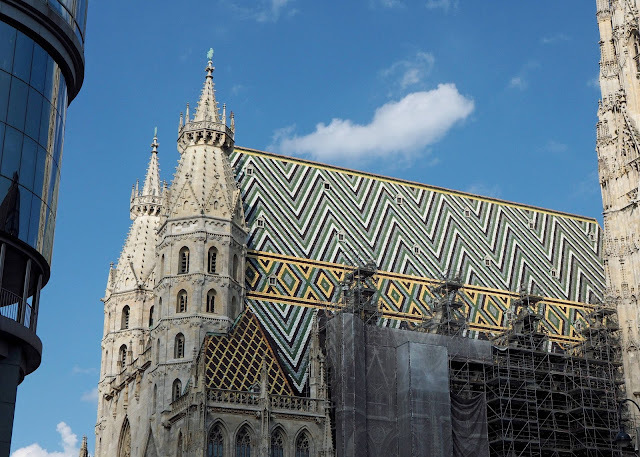 At the heart of Vienna city is the famous St Stephen's Cathedral which dominates the skyline. The first church on the Site was probably built in the 4th Century - but the oldest part of the church which stands today probably go back to the 13th Century. 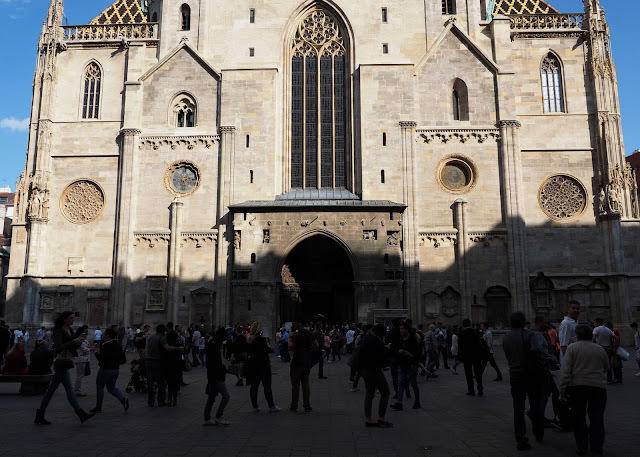 Like most old cathedrals - the building features a mixture of styles - from Romanesque to Gothic to Baroque. The most striking feature of the church is the roof - covered by over 200,000 colourful glazed tiles - forming a beautiful mosaic pattern. 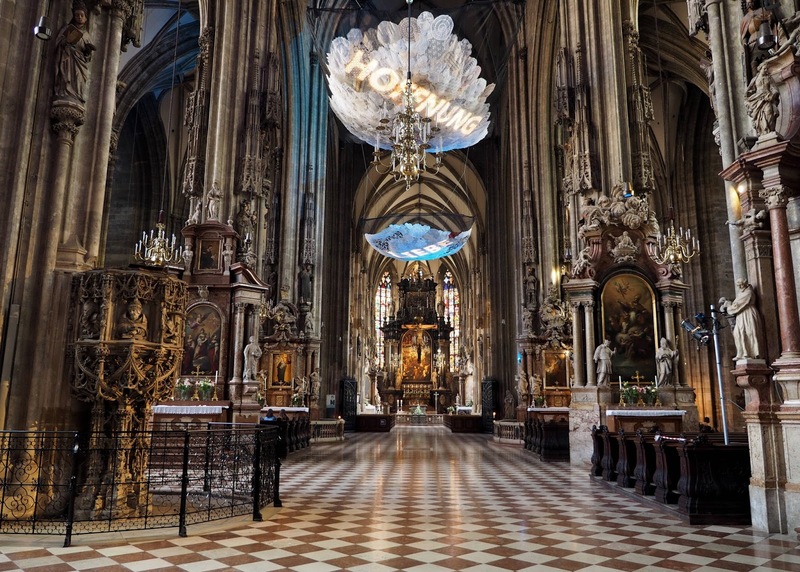 The interior of the cathedral is just as impressive. 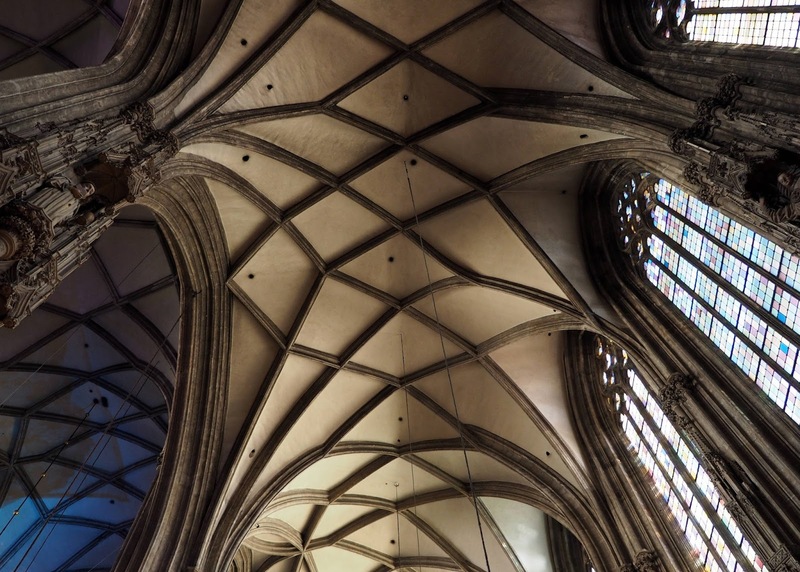 The tall vaulted ceiling reaches a height of around 27 metres. 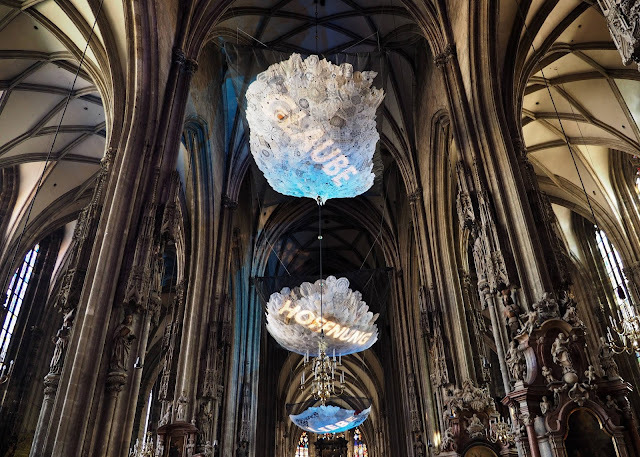 The beautiful installations hanging on the ceiling are by artist Eva Petric. 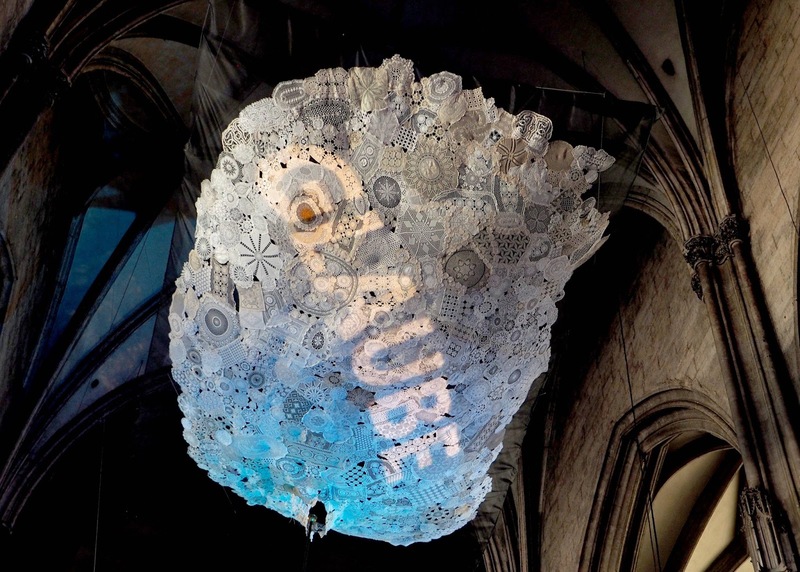 Entitled "Love-Belief-Hope: Eden Transplanted", they are made of lace and represents the idea of connections and interconnectedness as components of humanity.